The Men’s section of any clothing shop in the world seems like an assembly line with the same spare parts arranged in an orderly fashion. Checked shirts, striped shirts, plain shirts, T-shirts and polo shirts. A long line of cotton trousers and shorts thrown here and there, we are sorry to say that men do not have as many options as women do. Even though Men’s clothing is becoming quite inventive, there are some hassles that an Indian man faces every day. Even though a three piece suit has become the standard outfit for several black tie events, they are not representative of our culture. Let us take weddings into consideration. It is natural for the groom to wear a sherwani for the reception. However, the groom’s brother or friends are left with very few unflattering options like formal shirts and blazers. It is important to wear something that reflects our heritage but at the same time maintain the style quotient that is expected of a young man. Formals for work, T-shirts for casual hangouts and what exactly for traditional occasions? With puja holidays and Diwali right around the corner, you might want to embrace your traditional side. Do we hunt for dhotis and sherwanis to match the grandeur of the occasion? Or does it seem a bit over the top? These are the never ending queries of a man who is constantly struggling to be inventive with his dressing sense without looking trashy. The perfect answer for a man who is befuddled about what to wear for a festivity is here! It is none other than our very own Kurta! 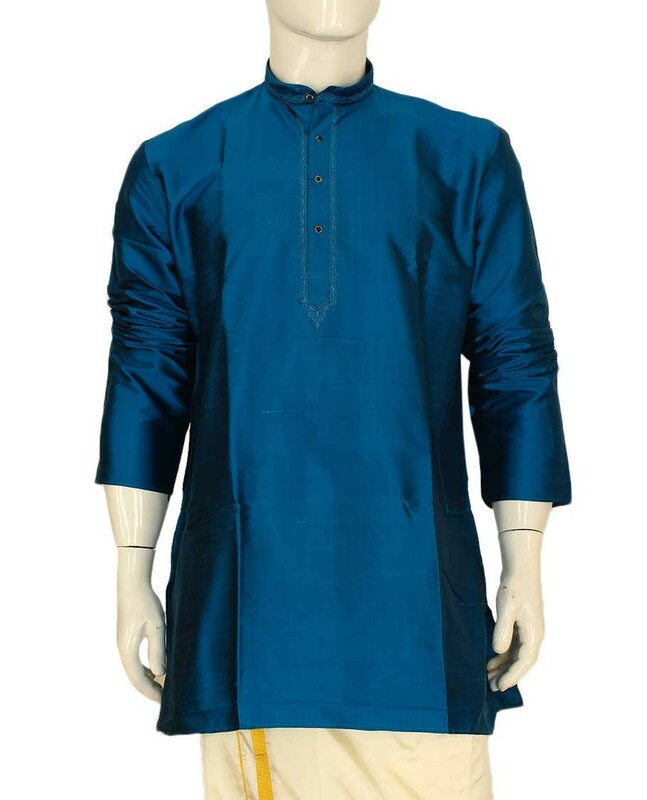 Men’s Kurta are the perfect choice for a traditional occasion that expects you to bring out the ethnic side of you. Silk Kurta can be paired with jeans, cotton pants or even dhoti to constantly reinvent their look according to the occasion. 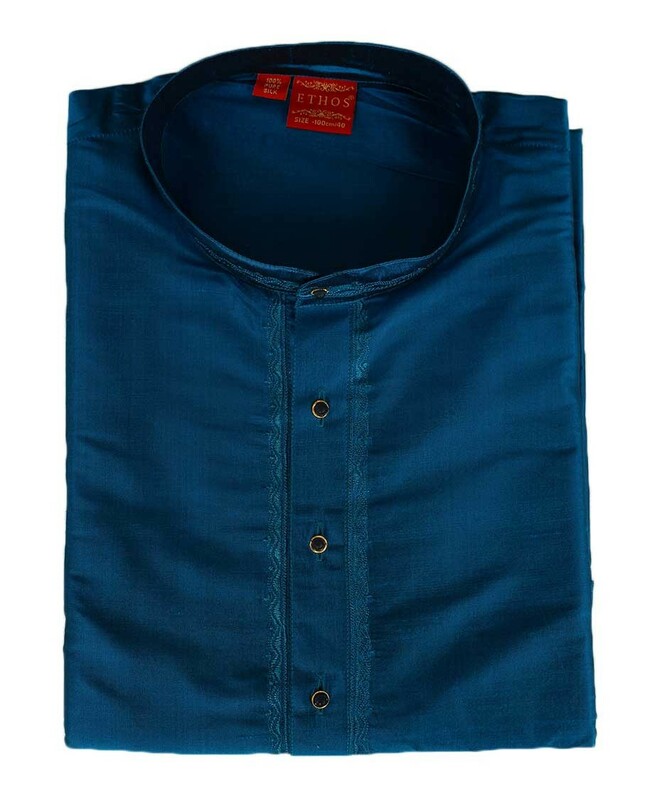 Buy Men’s kurta of different colours from Pothys’ silk Kurta collection and showcase your ethnic side!